Take control of guest engagement. Hoteliers know that social media is more important than ever to travelers. Vacationers use social media for inspiration while planning getaways, and they share posts, reviews, comments, and recommendations during and after their stay. Hotels today need to not only post regularly but also engage with what their guests are posting online. Take control of user-generated content and kick-start your social media strategy with social media solutions with Travel Media Group. Attract more direct, commission-free revenue by engaging on social media. Our proven strategy helps hoteliers attract followers and encourage conversions. We’ll set up or claim your business profiles on top social media sites so you can take control over how your business is presented online. Your profiles will receive consistent posts that are optimized for high engagement so you can be found by travelers where they’re searching. Attract even more followers with targeted and boosted social media posts and promotions. Build your audience and improve your reach. Social media is one of the most influential channels to reach travelers. Our actionable posts drive reservations and impact revenue. Don’t wait. Start turning travelers into guests today! of all travelers visit their social media accounts at least once per day, every day. of Facebook users were inspired to book a trip to a place based on a friend's pictures. of travelers share pictures or post status updates to social networks while on vacation. 80% of Facebook users are more likely to book a hotel based on a friend liking a Facebook page than from traditional advertising. Read about how we helped the Holiday Inn Express & Suites Chaffee double their website direct traffic from Facebook and reach an additional 16,000 travelers every month! 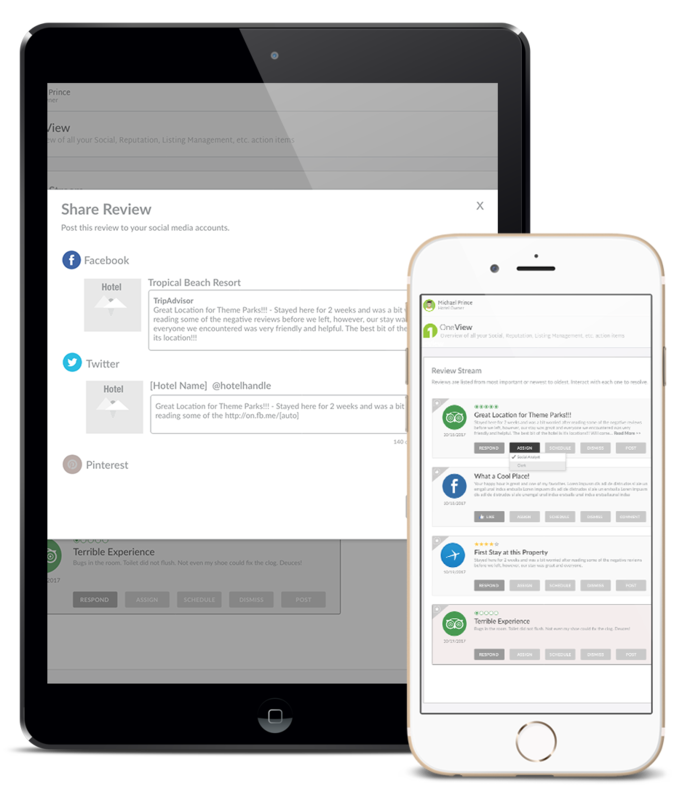 Every Social Media customer receives complimentary access to TMG OneView™, our guest feedback management system. Access all of your social media accounts anytime, anywhere, and from any device. 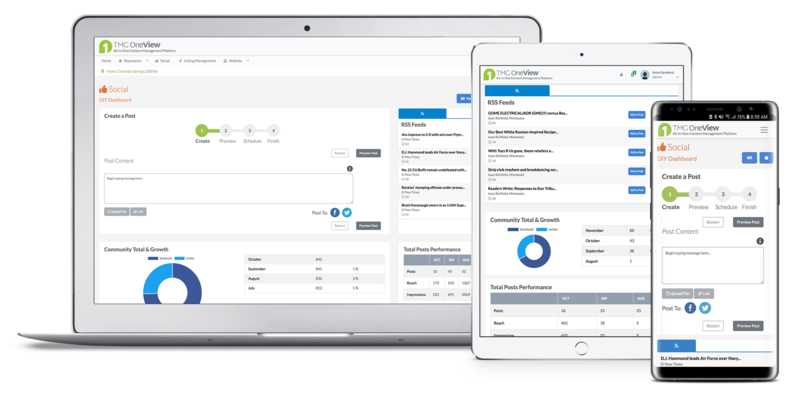 Create and schedule posts, respond to Facebook reviews, and engage with guests all in one place. You’ll be the first to know when someone posts about your hotel with TMG OneView™. Ready to take your social media to the next level? Complete the form below to request a demo of our social media solutions.